Ordering Food | Is it vegan? But back to the communication issue. 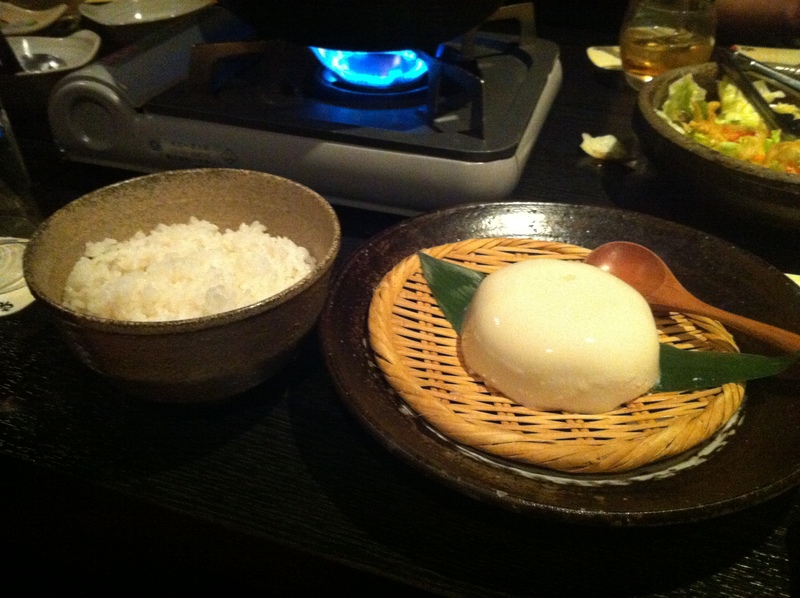 Unfortunately vegetarianism is not well known in Japan, and veganism is pretty much unheard of. Even once the idea is explained, there is often little understanding of which ingredients can and can’t be eaten. It is therefore common to hear stories of vegans and vegetarians served dishes sprinkled with bacon (for example) even after explaining that they don’t eat meat. This means that you can’t simply say that you are vegan and ask which items on the menu you can eat, or rely on the restaurant to make a vegan dish for you. You need to do a lot of work yourself and be vigilant about the ingredients to be used. First, it’s a good idea to see whether there are any naturally vegan dishes available. 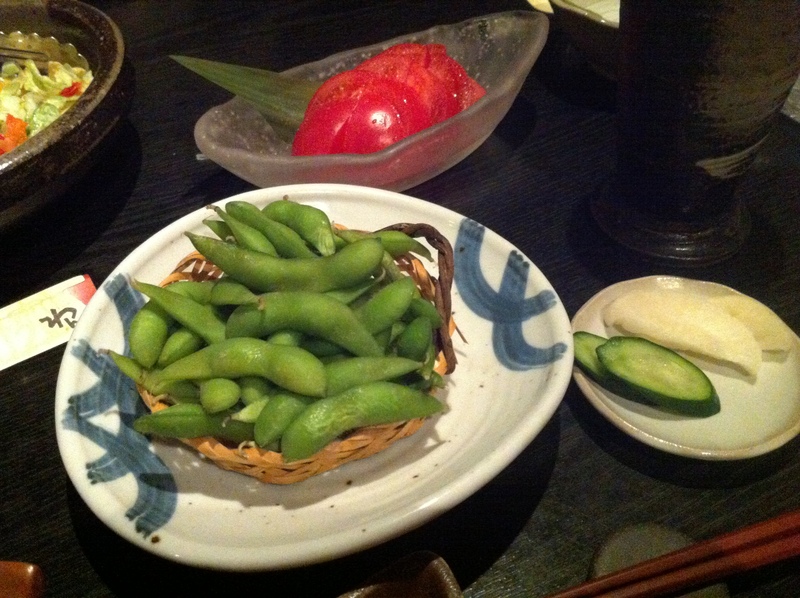 As mentioned above, these include things like rice, tofu, edamame and salad. They can be easy options if you don’t want to try to do a lot of communicating with wait staff. Another option is to find a dish that is almost vegan and ask for some small changes to be made. For example, you might be able to order a vegetable pizza without cheese. Below are some useful phrases you can use when ordering food. When talking to wait staff please remember to be polite and not demanding. Most people in Japan (especially outside the big cities like Tokyo) have no knowledge of veganism and they will need your help to know what to check for. Try to make it a positive learning experience for them, or at least not a negative one! Instead of saying ‘bejitarian’ (the katakana pronunciation of ‘vegetarian’) you could also say ‘saishoku shugisha’ 菜食主義者, being the Japanese phrase for vegetarian, however it is a bit of a mouthful and ‘bejitarian’ is usually understood better. As noted above, veganism is not well known in Japan, but if you want to say you are vegan it’s better to use the Japanese phrase ‘kanzen saishoku shugisha’ 完全菜食主義者 rather than ‘bīgan’ (the katakana pronunciation of ‘vegan’), as many people are not familiar with the word ‘bigan’. This phrase is a bit more difficult to say than ‘bejitarian’, and it can also be a little confusing because this concept is usually associated with Buddhist monks. Note: You can use ‘tabenai’ (食べない) instead of tabemasen to be more casual. Instead of と (to), use や (ya) if you want to just give some examples of what you don’t eat (e.g. to show it is not an exhaustive list). Please refer to the dictionary to see a list of other animal products written in Japanese. Another option is to say you are allergic to certain ingredients. This is up to you, but unfortunately it still may not guarantee that the ingredients are not in the dish (some people here assume a little of something is ok). As mentioned above, simply saying you are vegetarian/vegan and listing the things you don’t eat usually won’t get you very far. The next few phrases will be much more helpful when ordering vegan food. Does this contain fish stock? To ask about more than one ingredient use the connecting word ‘tokka’ e.g. ‘Kore wa sakana no dashi tokka chīzu ga haitte imasu ka?’ (Does this contain fish stock or cheese?). There is no _____________________ in this is there? Note: You can use ‘hatenai’ (入っていない) instead of haitemasen to be more casual. Can I have it without _____________________? Note: You can also use the word ‘nashi’ (なし) instead of nuki. Can I have [dish] without [animal product]? It may also help to carry some vegan condiments with you, such as balsamic vinegar. Then you can order dishes without sauces and dressings and add your own. Can I have _____________________ instead of _____________________? Can I have [dish] but with [vegetable product] instead of [animal product]? [dish] で [animal product] の代わりに [vegetable product] にしていただけますか. Note: You can say ‘shite moraemasu ka’ (してもらえますか) instead of shite itadakemasu ka to be more casual. These phrases are useful if you want to add something to a dish, perhaps after asking for something else to be removed. Is it possible to have [dish] with [ingredient]? Your article is very helpful. Thank you so much! This is such an in-depth article about asking food without meet in Japan! Sometimes I had a hard time to order dish without meat here (in Hong Kong) let alone asking in Japanese in Japan. A big thank you and I’m so excited to try my Japanese!